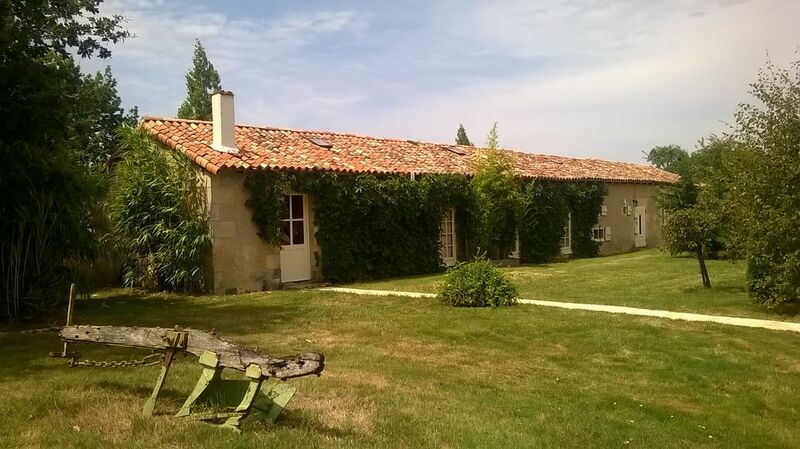 Classic family Gite holidays in the surroundings of our beautiful farm in the Vienne (Dept 86). Come and spend a relaxing week or two in our rustic Gites (Holiday cottages). Come and have a great holiday with loads of outings and things to do before returning at the end of the day to our tranquil farm. See below for our best picks. La Jouachere, is situated away from neighbours, surrounded by our own low intensivity organic (Bio) farmland enjoying views over the spectacular Vienne valley. We pride ourselves on providing as natural a habitat as possible for birds and wildlife - as well as guests and sheep. We are a small scale working farm (non stinky), following sustainable practices and would be happy to share some experiences with our guests – adult or children alike. Ducks, chickens, geese and horses need feeding as do the flocks of sheep. La Jouachere is situated just outside Queaux overlooking the Vienne river valley in the Department of La Vienne (86). While this is an advert for our 1 bedroom (sleeps 2) Gite we offer two rustic style Gites converted from a stone and timber built 1790’s barn and featuring fitted modern kitchens with fridge freezers, dishwashers and microwaves, and modern clean bathrooms. Gite One offers a double bedroom (Two people). We returned to our farm in 2014 to set up an organic sheep farm and open the Gites. La Jouachere offers spacious Gite accommodation (bigger than they look in the photos apparently (guest feedback!) with no neighbours. As well as great days out we are happy to share farm experiences with children and grown ups alike. Ducks chickens and geese need looking after and the sheep need tending. We are always on hand to offer assistance should you need it. Spacious and light bathroom with a mix of old barn and modern fittings. Lovely kitchen which we think is fully equipped - If anything is lacking just let us know. A mix of old barn style with modern fittings and access via the stable door to the private rear terrace. Cool off in the beautiful Vienne river. Surveilled swimming, paddling pool, playground, boules, drink and ice cream shop - What is not to like? Great half day out kayaking down part of the Vienne back to Queaux - or go further. Pedalo on rails on old rail track. One of the best zoo's we have been to and good value. 6000 animals. Swimming in lake, beach, restaurant, playground. International level theme park based on technology, robots and stunning shows. Theme park - monumental historical recreations and spectacles with thousands of cast. A moving preservation of an entire village martyred during the Nazi retreat of WW2. Smaller zoo but nonetheless a good one and a good value day out. Swimming lake with nice beach. Display of largest birds of prey. A good few hours to be had in the tropical crocodile land. Roped walk ways in the trees and more.